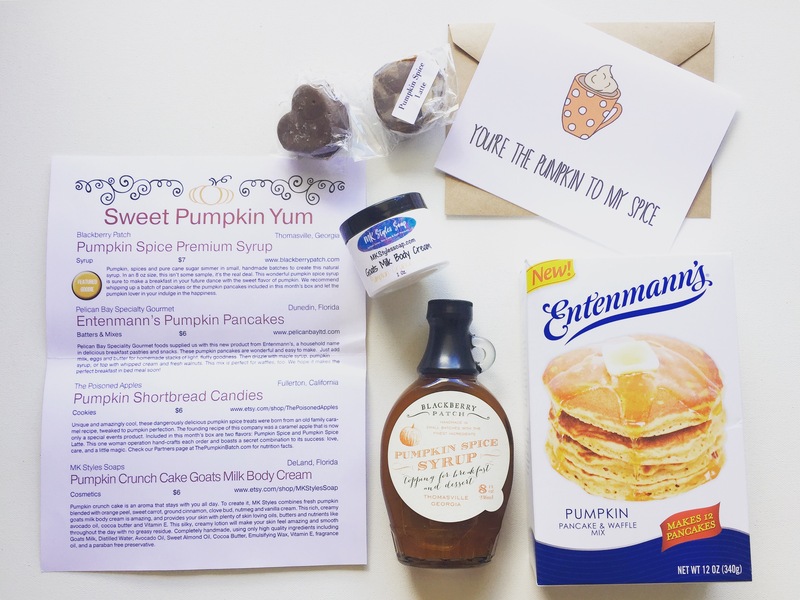 Pumpkin Spice Syrup – ermergerd this is my fav jam brand BlackBerryPatch! Didn’t know they made syrups too! This syrup is absolutely delicious on pancakes, waffles, crepes, and also a sweet treat on ice cream! Drooool! Pumpkin Pancake & Waffle mix – ooooh yaaaa baby, now we’re talking, time to make some fluffy pumpkin pancakes with a drizzle of the above delicious syrup. Mmm pumpkin on pumpkin! The Poisoned Apple Cookies – small but full of flavour, these are pumpkin spice, and pumpkin spice latté shortbread cookies. Yum! Pumpkin Crunch Cake Goats Milk Body Cream – holy mama! Made with orange peel, sweet carrots, and all the yummy pumpkin spices like cinnamon, clove and nutmeg, my favs! Card – love this super adorable card ‘Your the Pumpkin to my Spice’ – too cute to send thou!